Wellington, March 28: New Zealand Prime Minister Jacinda Ardern said on Thursday that Facebook needed to do a lot more to curb hate propaganda after the social network announced it would ban such content from its platform. 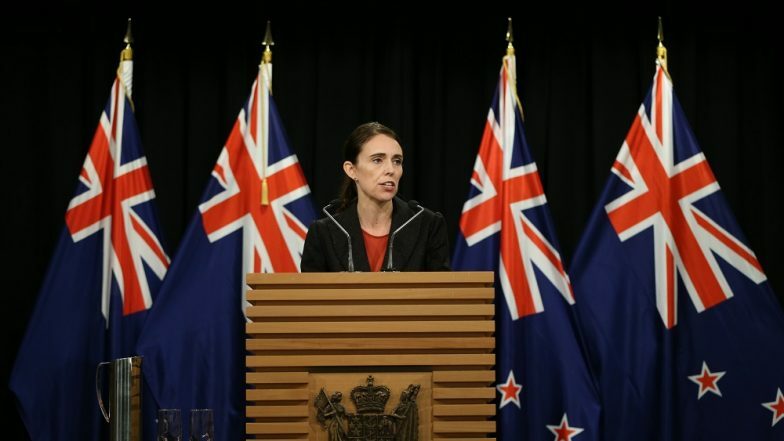 Ardern's statement comes two weeks after a lone gunman on March 15 opened fire at two mosques in Christchurch, killing 50 people, reports Efe news. "In the wake of the terrorist attack, there is much to do," she said, referring to Facebook, where the attacker had live streamed the mosque shooting. On Wednesday, Facebook had said in a statement that they would crack down on white nationalistic messages and white separatism on its platforms, including Instagram. Following the announcement, Ardern said that these measures "should always have always fallen within their community guidelines of hate speech", and that the solution needed to be a global one given the global outreach of social networks. New Zealand Mosque Shooting Was Live Streamed on Facebook by Shooter, Graphic Video Goes Viral. "But nevertheless it's positive that clarification has now been made in the wake of the attack here in Christchurch," she said, adding that the Australian government was also considering the possibility of imposing penalties on social media networks if they do not check the spread of extremist material. Tamil Nadu: 50 Women Trapped Through Facebook 'Raped' by 4-Member Gang of Pollachi. Besides streaming the 17-minute attack on the first mosque on Facebook, the attacker, Australian national Brenton Tarrant, had also posted a 70-page manifesto detailing his extreme right-wing ideology and his hatred for Muslims. Last week, Facebook admitted that its Artificial Intelligence system to detect malicious content on its platforms was not perfect and failed to detect the video of the Christchurch attack. The video was viewed 4,000 times before the social network took it down, although there were over a million attempts - some successful - to upload it again on Facebook. Apart from Facebook, online video streaming site YouTube - owned by Alphabet, Google's parent company - also reported removing tens of thousands of videos of the attack from its platform, and said that what happened was unprecedented for them regarding the scale and speed of dissemination.